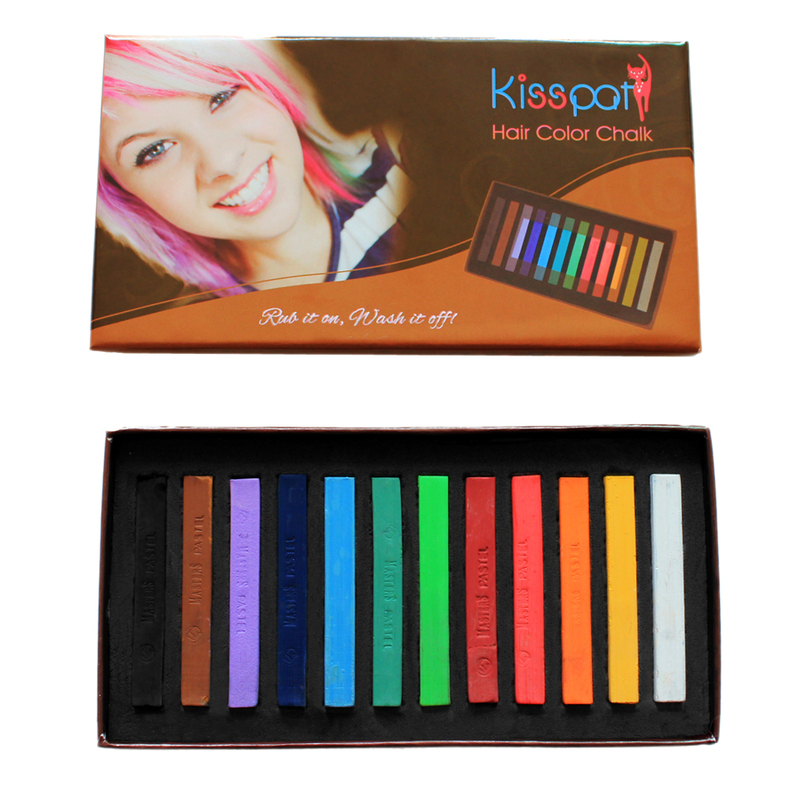 Hair Chalk is a temporary way of adding great, bold, fashionable colors to your hair. It is easy to apply to hair and easy to remove as well. It's the latest trend this season! 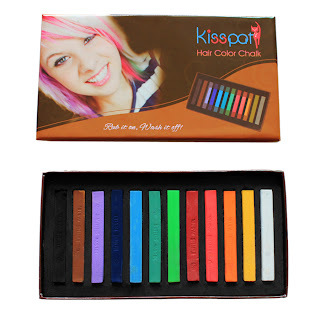 You can get more information about how to use hair chalk at the website, but instructions and ingredients are printed on the box as well. I experimented with the chalk today. I decided to go lightly and just add a touch of vibrant color to my hair. So after my shower, while my hair was still wet, I rubbed the chalk over the bangs of my hair. I used magenta. As you can see I have naturally very dark brown hair. That didn't matter though. The color is visible and stands out clearly. It shines almost a purplish color but I like that. I like how I can wear a touch of color with my day clothes and still look and feel appropriate, not like I just stepped out of a club. It really is quite fashionable. I think teenage girls will benefit the most from the trend though, but will still advise my trendy mom friends to check it out. that's cute! has a good effect on the curly hair. Did the chalk wash out okay? Would it stain light blonde hair? It comes out in 1-2 washes. Very interesting. Dramatic looks that are not permanent! those look like fun and they actually show up on dark hair! i donno hw to order this form on9 cn anyone help mee pls! I was wondering how people got those colors in their hair. A little too wild for me, but it looks nice on you! I wish these would have existed when I was a teen. They would have saved me from a few permanent hair dye mistakes! Lol! 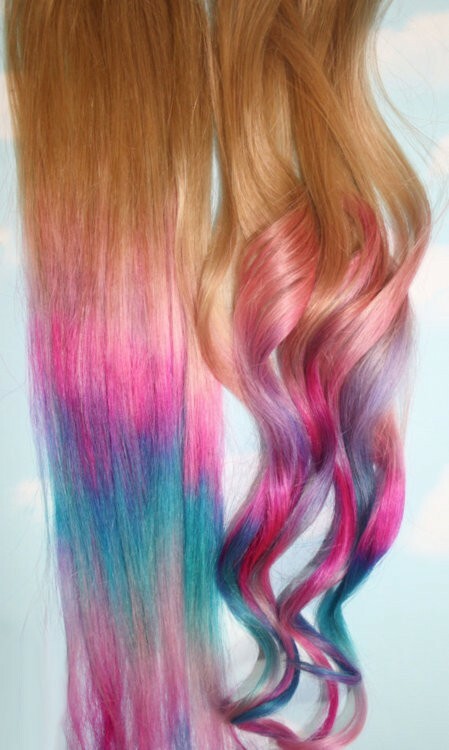 These chalks look pretty cool! Glad they showed up on your dark hair; I have dark hair as well and wondered if they would show colours.